Classical music is good for the soul – and the brain. 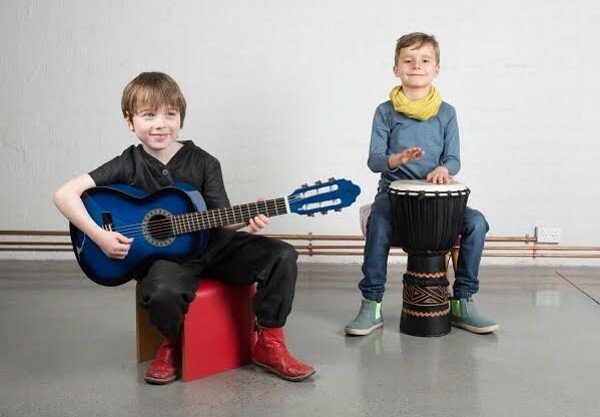 Now the Melbourne Symphony Orchestra is helping children appreciate fine music from a young age with interactive sessions for all ages during MSO Education Week. Starting this Tuesday (May 3) little Melburnians will be able to go on some fun-filled adventures right into the heart of the orchestra. Internationally-acclaimed music educator Paul Rissmann will direct the week’s activities alongside MSO’s associate conductor Benjamin Northey. The week will start with a bold concert that showcases the sheer power of a large-scale orchestra performing pieces of music from some musical giants, including John Adams, Leonard Bernstein and John Williams. Tots from 0-5 will have the chance to play with MSO musicians during the 30-minute Jams for Juniors: Carnival of the Animals workshop, while children aged 3-7 can take part in Classic Kids: Crazy Creatures, providing the perfect introduction to classical music and a great way to learn how a symphony orchestra works. School-aged children will be able to meet a host of characters during Meet the Orchestra: Bamboozled session. The orchestra will also present Symphony in a Day, a side-by-side initiative that provides community musicians with the opportunity to perform alongside their MSO counterpart. Since starting in 2011, MSO Education Week has entertained more than 50,000 children, teachers and adults. This year more than 950 students and teachers from low socio-economic schools will attend concerts on sponsored excursion packages. MSO Education Week runs from May 3-7, 2016. Check out the MSO website for all ticket prices, session details and to book.